Renault recently launched their Duster SUV in the price range of Rs. 7.2 lakh to Rs 11.3 lakh, and it created quite a lot of buzz in the market. Initial bookings crossed 6,000 in no time, and many among the CarToq community took test drives, and booked the SUV also. 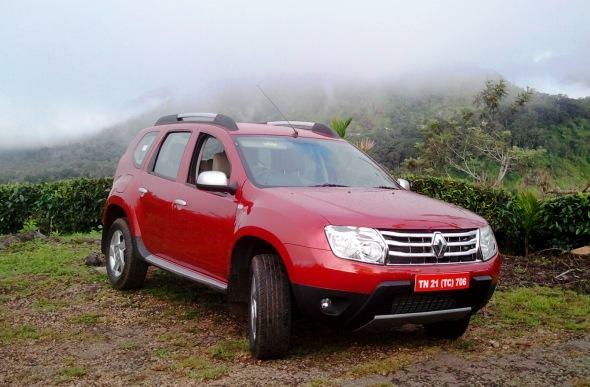 “I have already booked the Duster but am not really happy with the interiors & features. Also the waiting period for the car is too much, I had booked it on 5th July & approximate delivery time is 2-3 months. First I was waiting for its launch & now for delivery. This period is killing me!” said KD Baath. “The ground clearance of over 200mm is just superb. It won’t hit any of the potholes or the over-sized speed breakers. The engine is very silent on the inside, and the AC an absolute chiller. The interior plastic quality could have been better though, but the panel gaps are fairly narrow,” he added. “Well it’s an inviting gesture from Renault, if you want to badge the car as a family car. But off roaders and enthusiasts would still want a 5-seater with good space (legroom) for rear seats. For the top end model with the extra air blower the space is pretty cramped for middle passenger in the rear,” said Jitheesh Nair. He went on to say that, “It has cheap plastics all over, very low height, rear AC Vent placement and size hampers space again. The unconventional placement of stereo controls (behind the steering), No cooled glove-box, all these are small things, but make a lot of difference. Have you booked or test-driven the Duster? Share your views with us!